What started as an iOS-exclusive app for showcasing and sharing photos has grown to be one of the most influential social media networks in the world. As of April 2017, Instagram had 700 million monthly active users—400 million of whom use the platform on a daily basis. Despite its large following—and therefore extensive pool of potential consumers—adoption rates for businesses using Instagram for marketing are still about half—with 48.8 percent of brands using Instagram at the end of 2016. However, that number is expected to climb to 70.7 percent in 2017, according to Hootsuite. If you are unfamiliar with the platform, think photos. Though you are able to post captions on Instagram to accompany photos, the photos themselves are really what Instagram is all about. Using Instagram for marketing is a smart move that many businesses are making to connect with more social media users. By nature of Instagram itself, there are strategic ways to employ it to work to your brand’s advantage that differ from how you would market on Facebook or other social media outlets. 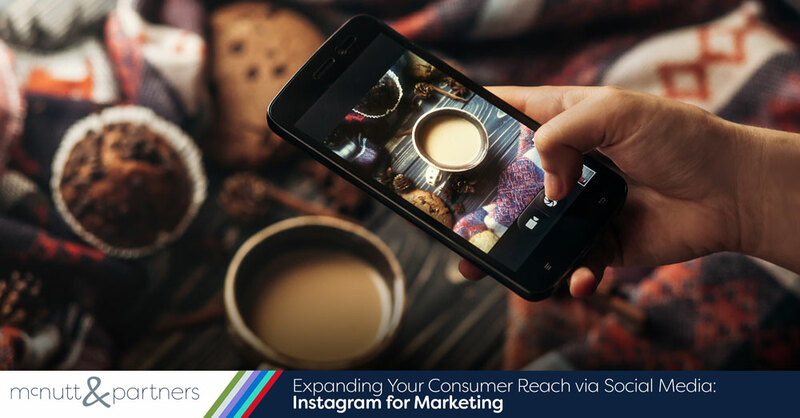 From free tactics to paid ads, here are a few suggestions for using Instagram for marketing your business. Post creative (and quality) content. Instagram is a visually-based platform, and countless studies have shown that online audiences have higher response rates with images over text. Therefore, the photos you post to Instagram should be interesting and not stale images that apparently look like advertisements. Post content that your followers want to see and share. Think about what you would want to see on Instagram. Cross-promote on other social media channels. You can connect your Instagram account to other social media accounts like Facebook and Twitter so that what you post on Instagram will automatically post to those other platforms as well. You can also use your other well-established social profiles to invite people to like you on Instagram as well. Especially if Instagram is the weaker of your brand’s social media accounts, use the resources you already have to build up your following. Use hashtags. Posts with at least one hashtag average 12.6 more engagement on Instagram than those posts without hashtags, according to a study by Simply Measured. Instagram uses hashtags to help users discover content that they are interested in and accounts that they might want to follow. You should also take advantage of trending hashtags, which you can look up using Instagram’s Explore feature. Using hashtags can make your brand more discoverable on Instagram—which will increase your overall engagement. Don’t discount video. In addition to photos, Instagram also allows users to upload videos. You can upload any video that is in your phone’s library, and even videos on your computer as long as they are edited down to 60 seconds or less. If you are creating a video within the app, Instagram offers editing features that make videos fun and easy to produce. Posting short videos to your Instagram account about something interesting your business is doing is an ideal way to help attract attention—and keep followers on your page. Share content from other relevant accounts. If your creative well is running dry and you need inspiration for a post, there’s no shame in repurposing content from another relevant Instagram account. If you do this, make sure you give credit to the original poster by tagging that page in your caption. Cross-promoting other pages benefits everyone—by connecting your page to that page’s followers, and vice versa. The idea is that if you give another entity a shout-out, it will return the favor. Engage with your followers. When using Instagram for marketing, it is critical that you interact with your followers—especially when they interact with you. If someone comments with a question, you should obviously answer it. However, even if the comment is not inquiring, you can still respond to that person and thank them simply for commenting. Doing so will better connect you with potential customers. People like to know that there is an actual human being on the other side of the screen. Invest in sponsored posts. While the above were more of best practices for using Instagram for marketing, now we get down to discussing how you can allocate your marketing dollars to promoting yourself via the social media platform. Instagram allows you to create photo ads, video ads, carousel ads and stories ads. These ads generally look no different than regular posts and are set up the same way you set up Facebook ads. In fact, you will need to log onto your business’ Facebook account to set up ads for Instagram. Identical to Facebook ads, you’ll be able to choose an objective like “send people to your website” or “boost your posts.” You will also be able to target the ad to appear to an audience that you choose based on a variety of factors like age, gender, location and others. For payment, you have the option to select either a daily budget, or a lifetime budget that paces your spending over a specified time period. Read about more that is involved in creating, funding and scheduling a sponsored Instagram post from HubSpot. Don’t miss out on the audience that you could potentially be capturing by not having an Instagram account for your business. Especially if you link your account to Facebook and Twitter, it does not have to take any additional time investment to use Instagram for marketing. If time and social media management is an issue for your brand, the McNutt & Partners team would be happy to do it for you! Give us a call today at 334-521-1010, or visit our contact page.